Top 9 Reasons why practicing Mindfulness is good for your child! A few years back, when I wasn’t even a Mom, I got introduced to the concept of mindfulness through a program on the TV. But, that was long ago and now mindfulness is not a lesser known concept anymore. In fact, many schools, colleges, coaching institutions and health centers practice mindfulness widely and encourage the children there to practice it as much as they can. Increased focus and concentration: Which child doesn’t need this? The more, the merrier. It helps your kid to perform better not only in school but also in life on the whole. Calmness: All kids get hyper at some or the other point of the day or their routine life. Mindfulness calms your child down and makes her more compassionate and stable when it comes to dealing with routine tasks or tough situations. Resolving conflicts: By practicing mindfulness, a child learns to be more sensitive towards situations, people, choices in life and that gives him a better understanding of things when he tries to resolve conflicts in life. Being able to resolve conflicts on their own is a skill that all parents want their children to develop. Open to learning: Since mindfulness gives rise to a happier and healthier child, it encourages your child to learn more, learn faster and learn new and different things allowing him to develop in all aspects of life. Lesser mood swings: Kids are full of mood swings which many a times makes and breaks situations for them. Practicing mindfulness regularly helps them to deal with such mood swings or not let them arise in the first place. 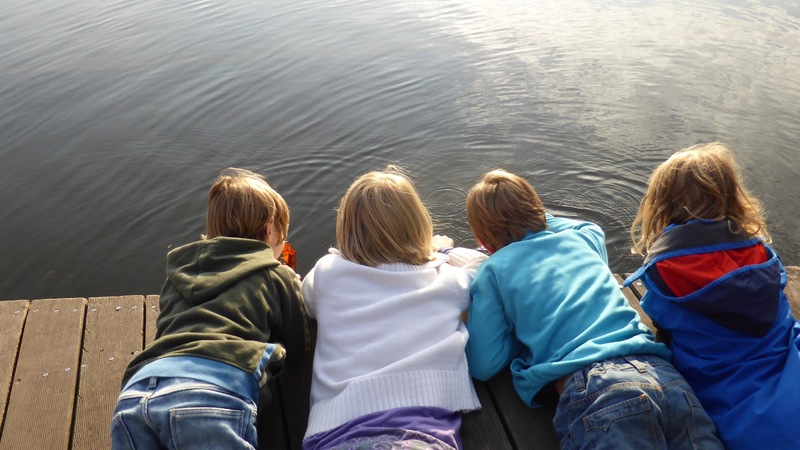 Closer to nature: Certain mindfulness practices ask the child to focus on her breath or observe and focus on the sounds of nature which brings the child closer to nature, strengthening her inner connection with Mother Nature, thus making her healthier and merrier. Better academic performance: Longer attention spans, increased self-control and respect for teachers in the school – all lead to a better academic performance resulting in happier parents and a happier child! Sleep issues: Due to increased pressure in school, among peers and that from the parents of society, many kids feel very disturbed and are unable to sleep peacefully and comfortably for long hours at a stretch. Mindfulness deals with these sleep issues in children and helps them sleep a good night’s sleep making way for a better day ahead. So, what are you waiting for? Just go ahead, find out a suitable mindfulness instructor or a class and enrol your kids now, no matter how young or old they are! Just get going and see the difference in your child in just a couple of days.